No Antenna Issues for Australian iPhone 4: Did U.S. Litigiousness, Media Invent It? 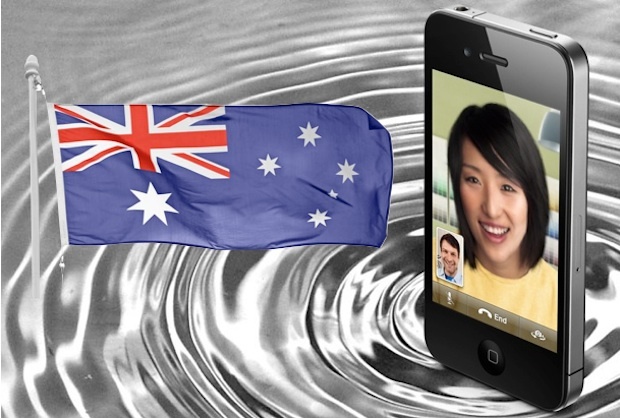 Australians got their mitts on the new iPhone 4 just the other day … and guess what? They’re not seeing the antenna issue that set the U.S. media alight. Is everything just better in Oz? And though the first paragraph of the article hurls some nationalistic zingers — “Maybe their mobile signal is weaker, or maybe our hands are just smaller?” — it’s actually onto something. If the Aussies are seeing fewer issues with the antenna design of the iPhone 4, then what the heck is going on? Has Apple fixed the problem, is it simply manifesting differently for consumers down under, or was there never a problem in the first place? We’ve collated the various options for you. This might actually be the truth. If only a tiny percentage of U.S. iPhone 4 users have complained directly to Apple or returned their devices, as Steve Jobs himself noted, then the antennagate affair may have just been a tempest in a teacup. Maybe the U.S. proclivity for consumer outrage, or its citizens’ habit of suing over the smallest of perceived slights was to blame. Perhaps a fickle and vicious media was at fault, with either latent anti-Apple (or anti-success) biases aforethought, or possibly just because unscientific journalists found themselves writing about a matter that’s even more complex than most people realize? We’re not talking about the visual “dropping signal bars” affect, of course. Apple’s addressed that, and it’s demonstrable on many, many other types of cellphone–even while Apple’s quietly pulled all the videos it had been hosting of the affect manifesting on other manufacturer’s devices. It’s undeniable that constraining a cell phone in a particular grip (which will vary with each phone’s design) can attenuate its incoming and outgoing radio signals. It’s also possible that a freak of the way Australia’s cell phone networks are set up is obviating the problem. It could be a trick of the way cell towers are distributed, or the different GSM frequencies the grid uses–which will play in to how much hands attenuate the signal. The iPhone design remains the same, essentially, but the problem isn’t manifesting. It’s also winter in Australia, which means users’ hands may–on average–be less sweaty and thus less conductive when they bridge the problem gap in the iPhone 4’s novel external metal antenna (we can’t say less pudgy than fat American fingers, since Aussies’ overtook America on this front a few years back). Worth noting is the fact that Telstra has awarded the phone a “blue tick” for suitable use in regional areas (where signals are much weaker, and where any signal attenuation from the iPhone 4 “death grip” would be more problematic), but has hedged its bets by recommending a bumper case in very weak signal areas. It’s also possible that Australians are getting “fixed” iPhone 4s, the result of Apple applying a quick production line-level cure for the iPhone 4 antenna issue. This could be as simple as a transparent, non-conducting glaze over all or some of the external antenna (similar to our jokey “scotch tape” solution). On the other hand, the antennagate fiasco was relatively recent, so it would be impressive for Apple to achieve this cure in time to get iPhones manufactured by the millions, and into the shipping containers and then the supply chain to Australia.